I need to begin by saying that I really enjoyed this mystery/romance book. I can't say too much without giving the book away, but you can check out my review here. If you love a good mystery/ghost story, you'll enjoy this novel! Plus, there is an element of 60s rock that makes this story... well, ROCK. 1. How did you come up with the idea for Something Wicked? Harrell: Renée and I were talking about our lives as teenagers. Our families didn’t have any extra money, we couldn’t afford our own cars, we each had some minor body issues, and we had a small circle of close friends. In other words, we were pretty normal. So we decided, from the onset, to have a fairly balanced, pretty ordinary, heroine, living a similar teenage life to the one we knew. The Blog Hop is a weekly meme hosted by Crazy for Books. This week's question is:"Summer is coming quickly - what 2011 summer release are you are most looking forward to?" I would say that the book I am most looking forward to this summer is Lost Voices by Sarah Porter. If you haven't read this book yet, check out my review here. I thought this story was phenomenal, and I am so glad to hear that it will be a series. I'm also pretty excited about the next book in Jillian Larkin's The Flappers series. (The review for that book is here.) It comes out later this summer as well. 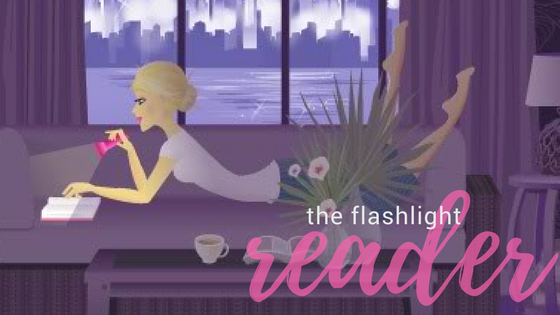 Who wouldn't love a book about Flappers set during the 1920s? If you haven't been following the Fairytale Fortnight event at Books from Bleh to Basically Amazing and The Book Rat then you really have been missing out on some GREAT stuff. All fans of fairytales and fairytale retellings should be checking these two ladies out. I have read interviews with some of my favorite authors, as well guest posts by fellow bloggers. There are a lot of talented people out there! Plus, there are TONS of giveaways. So really, shame on you for not checking it out. But, alas, don't fret. You can follow the links up there and redeem yourselves. In celebration of the event I guest posted two acrostics that my class worked on. But wait... there is more. Go check out both blogs to see theawesome (I can't help but brag) giveaways I'm hosting for the event. There is a YA pack and a children's pack. Just a bit of randomness that I had to share. I checked my e-mail tonight and saw an e-mail from Ryan G. VanCleave, author of the book Unlocked. An e-mail to me, from a real author. So cool. What was in the e-mail you ask? Well, it was pretty short and sweet, but uber cool all the same. He simply thanked me for the review of mine that I posted on LibraryThing and suggested two books that his students enjoyed. (Ironically, I just bought one of the books last week. Good call on my part.) The coolest thing, however, was that he offered to do a classroom/school visit at MY SCHOOL. How awesome is that? Ok, I thought I would share that because that was one of the coolest things that has happened to me in a looooong while. Now I can't wait to go back to work to tell the librarian! In celebration of National Poetry Month, I think it is only fitting to have an interview with a poet! Sara Lauritzen is the author of Iconic Poetry, a collection of poems about some of our society’s most famous icons. Note: Anything in blue from this point forward is my personal commentary. 1. If you could invite anyone from history (living or dead) to dinner at your house, who would you invite? Why? I would invite Susan B. Anthony and show her our world today and the efforts that have been made since her day. I like her character and courage, she was a true leader. Fantastic choice! I would have FDR at my dinner table. Wouldn’t the two of them make for a night of enlightening conversation? 2. In the introduction of your book you mentioned that you lived in Dubai. I’m curious about what led you to such an interesting and unusual place. What did you enjoy most about living in another country? Kim and Ann have been best friends since grade school. But when Ann and Kim meet performer Cody Rhodes at the hot new club, whis*pers, something strange happens. Having just ended her relationship with her boyfriend, Ann is not interested in Cody’s advances; however, Kim is more than eager to strike up a relationship with the brooding singer. Within a few days Ann notices that Kim is acting strange. Her gorgeous long, blonde hair is suddenly fiery red and short. Plus, she’s wearing the most atrocious outfits straight from the hippie era. Ann has no idea what is going on with her normally level-headed friend, but she assumes it’s because of Cody’s influence.